Whether they work in hospitals, clinics or doctor's offices, medical assistants make an important contribution to the healthcare field in South Carolina. The SC Board of Nursing and the SC Board of Medical Examiners recognize this contribution, and have officially affirmed the importance of the role of certified medical assistants in the state's healthcare facilities. Learn more about the rewarding work of these professionals in the state, as well as where they can get training and how much money they can potentially earn in different areas of South Carolina. Medical assistants in South Carolina can get their education from community colleges, technical schools, and junior colleges. In order to obtain the training needed to meet their career objectives, it's important for prospective students to choose the school that's right for them. The search tool below can help. By sorting schools based on cost, location, and class size, students can compare their options and find a program based on their interests and budget. How does South Carolina define "medical assistant?" In South Carolina, medical assistants are unlicensed assistive professionals who can be delegated certain tasks from a physician. The state does not have specific certification or licensing requirements. Medical assistants can become certified, which often makes them more attractive to potential employers. The American Association of Medical Assistants issues the Certified Medical Assistant (CMA), which students can obtain after completing an accredited training program in South Carolina. The state does not require training to become a medical assistant. However, specific employers do have their own standards, which can vary from one facility to the next. For example, some employers may require an associate degree in medical assisting, while others may hire people who have earned a certificate. Those who earn a certification must take continuing education courses in order to keep their credentials current. How are tasks delegated to medical assistants in South Carolina? South Carolina has specific guidelines for what kinds of tasks medical assistants can perform. The following are examples of what is expected from these professionals. Tasks can only be assigned by a licensed physician. Work must be routine and not require a license to complete. Badges must beworn in the workplace at all times in order to identify medical assistants' name and position. Medical assistants must be given work only when the delegating physician is in close proximity to provide assistance if needed. The following table compares salaries of medical assistants in South Carolina to the national averages. This data is compiled by the U.S. Bureau of Labor Statistics. The salaries that medical assistants command can differ depending on what area of the state they work in. The following provides details of the earnings these professionals make in different locations around South Carolina. The medical assisting profession is poised to grow exponentially in the United States-and South Carolina is no exception. In fact, the percentage of the state's jobs that will be developed in the coming years rivals that of the national average. The table below provides specific details on the number of jobs expected to be added to the workforce. Medical assistants have a variety of job duties, so they need solid training in order to do the work that doctors delegate to them. 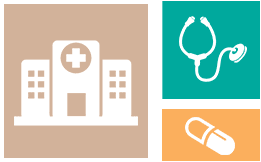 The following are examples of schools in South Carolina where students can prepare to work in different kinds of health care facilities. This program prepares students to work in clinical settings by offering courses in medical terminology, pharmacology, and general psychology. In addition, students take courses designed to teach administrative functions. These classes include introduction to computers, office skills, and business communications. This program combines theory with practice to provide a well-rounded educational experience. Students get hands-on training in laboratory and clinical settings, which can include being presented with scenarios they may experience in the workplace in order to demonstrate their critical thinking and communication skills. Class subjects include medical ethics, anatomy and physiology, written and verbal communication, vital signs, and infection control. The diploma program prepares students to perform routine tasks allowed by South Carolina law. Students take courses in subjects like first aid, phlebotomy, clinical skills and lab procedures. The school's associate degree is a completion program for medical assistants who want to advance in their careers. This degree builds on students' prior education and experience to provide more advanced knowledge. In addition to coursework designed to sharpen students' clinical skills, they also can take classes in public speaking, interpersonal communication and abnormal psychology. This is the professional organization responsible for certifying medical assistants. Those who want to become registered medical assistants get that credential through this organization. Provides information on the types of tasks physicians can delegate to medical assistants. This website includes detailed information on the examination medical assistants must pass to earn a certification. Learn more about the affirmations by the nursing and medical examining boards in South Carolina regarding the contributions of certified medical assistants. With chapters in areas like Columbia, Spartanburg, Charleston, and Anderson, this organization represents the needs of medical assistants around the state.